The date has been set for the 2013 Choctaw Oktoberfest All German Car Sow. I'm sure more details will follow but it's set for 2:00pm Saturday 9/7/13. This year it will be put on by the BMW club and the VW club will have it next year and then back to the Mercedes club the next year. The BMW club is willing to "school us" and give us all the info/contacts we will need. Jim, I'll introduce you to all the players when we're there if we haven't done that by show time. Hope they don't mind we change it up some. I'm down with helping out with that. Is this car show open to anybody? 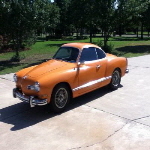 I have a 1973 Karmann Ghia I would like to enter just for the fun of it. I'm just not sure how to go about it. If you could point me in the right direction I would be grateful. Open to anyone. Just show up on that day and park. I'm sure we will have better info soon. 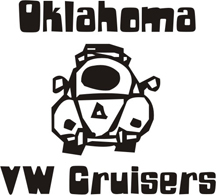 This year the annual Choctaw Oktoberfest All German Car Show is sponsored by the Sunbelt Chapter of BMW CCA. Come and show your support for the Chapter and your favorite German car maker. The $10 entry fee will get you a great parking spot, a 2013 Oktoberfest tee-shirt, entry into the Oktoberfest and will qualify your vehicle for potential award. Awards will be Best of Show, Best BMW, Best Mini Cooper, Best Audi, Best Mercedes Benz, Best Porsche, Best Volkswagen, Most Modified, Most Original and Highest Mileage. and much, much more! This is a fun show and shine event held at Choctaw Creek Park on Harper Road between NE 23rd Street and NE10th Street. Enjoy a relaxing Saturday afternoon at the car show. ...in the past they've wanted the cars staged by 120:00 noon or maybe it was 1:00pm. As soon as I get that I'll pass it on.